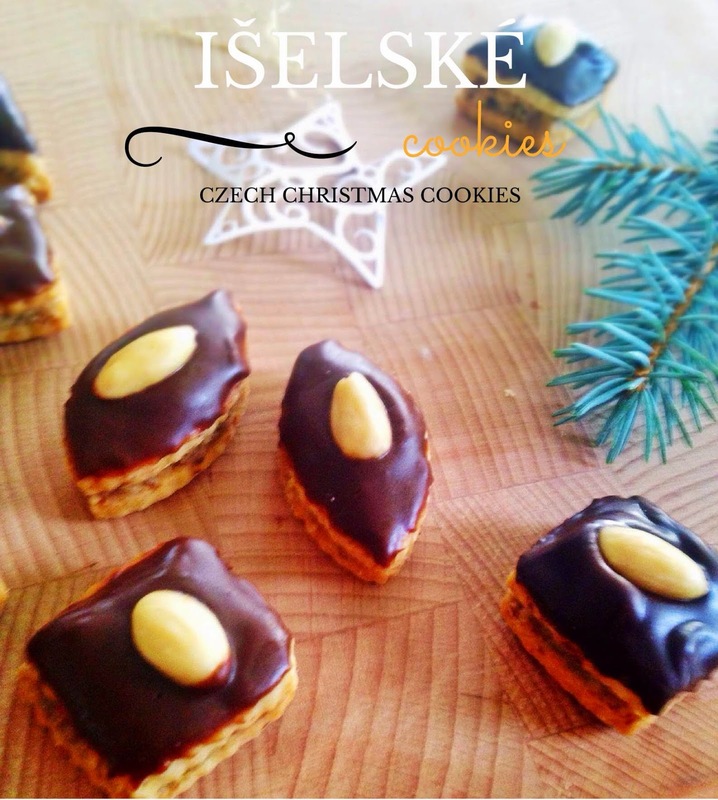 CZECH ON THE ROAD: CZECH CHRISTMAS COOKIES "ISELSKE"
These cookies are really the best. The combination of nuts and chocolate is killing me. So if you love it also, you will not be disappointed! My mum has this recipe for ages now. For the dough, mix all the ingredients and prepare a smooth dough and let it rest overnight in the refrigerator. The next day, roll out a thin sheet and create different shapes. Bake at 160 degrees for about 8-10 minutes. I recommend baked cookies to let it rest for a day or two, then they are not so fragile. For the filling, mix all the ingredients and mx until you get a smooth creme. Then fill the cookies with the cream and finally, melt chocolate with butter, decorate with it the cookies and garnish with nuts.